I have loved all of Thea Harrison's books. Great writer!! Well written as normal and always delivers a well written story. Thank you!! 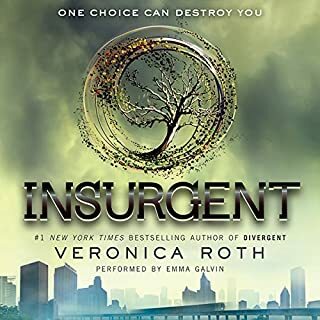 Would you listen to Insurgent again? Why? Yes! This series is coming together. It makes since and has a good story line. Emma has done a good job. I will buy book 3 and 4 and so on.. I remember the first time I listened to Emma as a reader. I wasn't quite sure I liked her. This is my second time listening to this series and its smoother this time. I think because I listen to a lot of different readers, sometimes it's hard to let one go and adapt to a new one. Emma has done a GREAT job!! Sydney Sage is an alchemist, one of a group of humans who dabble in magic and serve to bridge the worlds of humans and vampires. They protect vampire secrets - and human lives. In the Indigo Spell, Sydney was torn between the alchemist way of life and what her heart and gut were telling her to do. 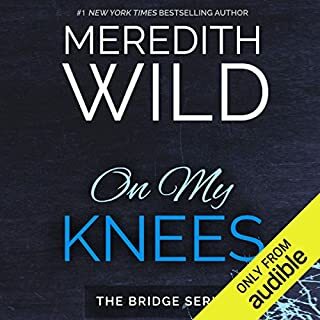 And in one breathtaking moment that Richelle Mead fans will never forget, she made a decision that shocked even her...But the struggle isn't over for Sydney. As she navigates the aftermath of her life-changing decision, she still finds herself pulled in too many directions at once. Would you listen to The Fiery Heart again? Why? 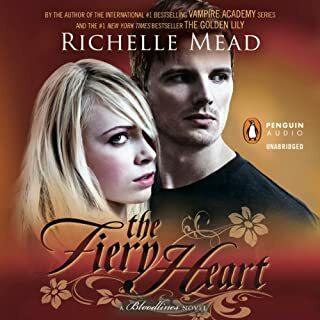 I would listen again and will before reading or listening to the next..
What other book might you compare The Fiery Heart to and why? One of a kind! It's theatrical, drama, love, action, mystery.. When Sydney decides to go to Adrian, and who cares who knows...! The fact he loves her enough to try and fix himself, and of course Quoting SYDNEY: " BRING IT ON"!!! LOVE IT!!! Can't wait to see what she endures and overcomes!! Waiting on the next book! 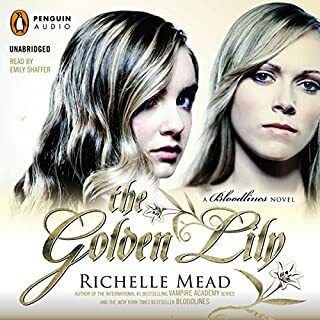 Love Richelle Mead, GREAT WRITER!!! Sydney Sage is an Alchemist, one of a group of humans who dabble in magic and serve to bridge the worlds of humans and vampires. They protect vampire secrets - and human lives. 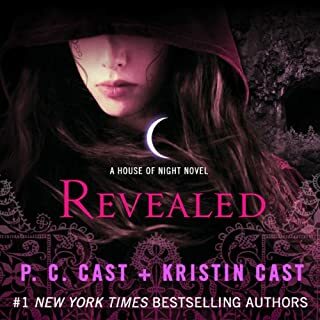 In the aftermath of a forbidden moment that rocked Sydney to her core, she finds herself struggling to draw the line between her Alchemist teachings and what her heart is urging her to do. Then she meets alluring, rebellious Marcus Finch - a former Alchemist who escaped against all odds, and is now on the run. 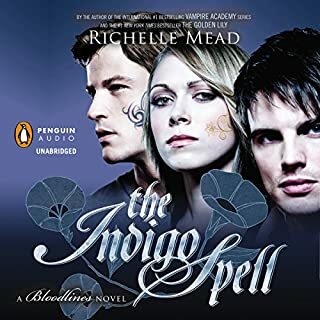 If you could sum up The Indigo Spell in three words, what would they be? Sydney and Adrian! Despite right or wrong in the eyes of others they go with their HEART!!! Have you listened to any of Emily Shaffer’s other performances before? How does this one compare? I have listened and she is GREAT as always!! I do recommend this Book/Ebook/and Audible to all my friends!!! That I learned more about Sydney! 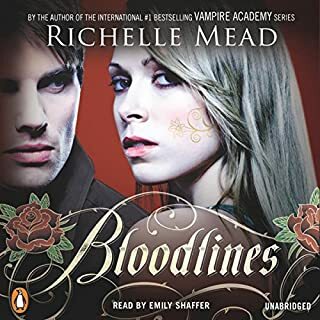 See Bloodlines is Book 1 in this newest series, however A VAMPIRE ACADEMY 1-6 starts another story and before it's over Sydney is revealed and you soon want to know what happens to her.. I do like Emily as a reader! 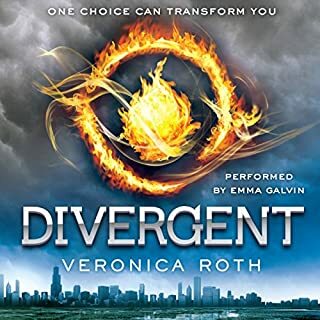 Started reading bought the second and third and finished all since Christmas Day! As always, Can't wait until the next!!! If you could sum up Revealed in three words, what would they be? What other book might you compare Revealed to and why? I have none other to compare it to. One of a kind! When I first started listening to Caitlin Davies's I didn't like her.. I soon realized she is a great reader. The reason I didn't like her at first was because the reader had changed. In the first book MARKED, Edwina Wren was the reader and I recognized her the best for ZOEY!! I still do! I will buy more books based her as the reader,Edwina WrenA++++++++++! 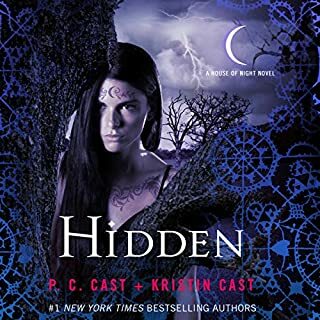 What did you love best about Hidden? Zoey is always my favorite, then Stark! Which character – as performed by Caitlin Davies – was your favorite? She is a better reader for Stevie Rae. Her voice sounds more like she's from Texas as well. When I thought Neferet would succeed in the death of Sylvia Redbird..